The first ever Netflix original animated series, Turbo FAST, a 2D animated sequel to the film, amps up everything to the extreme - extreme adventures, extreme challenges and extreme excitement! In a departure from the Netflix pattern of debuting an entire series at one time,Turbo FAST debuted it first group of episodes this past Christmas and is launching future episodes timed to school holidays. Next up is Spring Break! Turbo FAST is a fun filled high octane ensemble comedy series teaming Turbo, fresh off his Indy 500 victory tour, with a posse of adrenaline junkie fueled snail buddies who form the Fast Action Stunt Team (FAST) to meet exciting new challenges and go on daring new adventures. Home base is Starlight City, complete with a customized snail racetrack, but FAST also ventures to familiar Los Angeles landmarks and beyond for all kinds of outrageous, fun-filled exploits. Each member of FAST – Turbo, Whiplash, Burn, Smoove Move, White Shadow, Skidmark and Turbo’s brother, Chet – has their own snail power and catch phrase. With their tricked-out shells and “souped up” attachments like a jet engine, fire-spitting afterburners and a killer sound system, the team attempts outrageous stunts, races on the coolest tracks, and takes on the craziest challengers, including masked Mexican lizards, surfer cockroaches, Sumo snails and a tiger beetle furious because he is no longer the fastest insect on the planet. 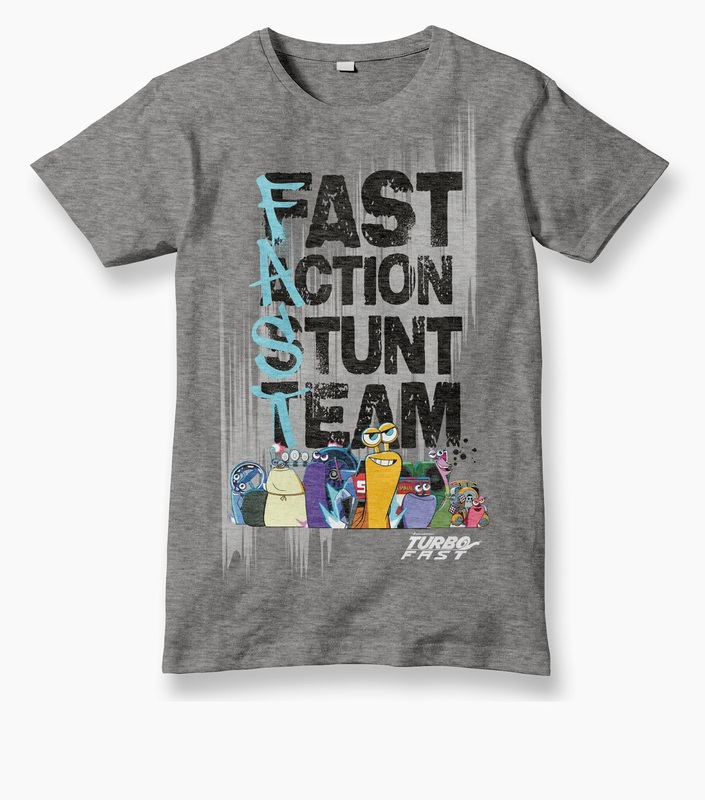 No matter how wild things get, the Fast Action Stunt Team always has each other’s backs and their need for speed delivers a whole new level of fun. One person will win a Turbo FAST button pack and tshirt in choice of child's size. I like the Taco stand worksheet, showing the kids how to make taco's and how to line up the taco stand. I also like the Whiplash coloring page :) My son LOVES Turbo! This looks like a cute show. The movie just became available on Netflix. We plan on watching it over spring break. I like the mazes activity sheet. I like the Turbo color by number sheet the most. I like the dot to dots the best. The Color By Number page looks like fun. I love the mazes! My kids find the mazes challenging and fun! My daughter would like the Taco recipe on the best. The mazes would probably be my favorite. I like the connect the dots,. Visited and out favorite activity sheet is definitely the maze. Connect the dots was something I always enjoyed when I was a kid. I like the color by number. I like connect the dots. I have always been a huge color by numbers fan. I like the taco stand activity sheet the best.